This blog details about using a StringTemplate library to generate PDF documents dynamically. Before we look into the implementation, let’s first understand what is all about StringTemplate’s. StringTemplate is a template engine library used for generating source code, web pages, emails, or any other formatted text output. It supports generating the templates like emails, documents, newsletters, web pages, code generator. It depends on ANTLR (Another Tool For Language Recognition) to parse the string template language. One of the important characteristics is that it clearly separates the model (business logic) from view. Using this, we can ensure the business logic, the computation required to generate the structured text does not have a dependency on how it is represented on the user interface. Application admin can have full control and flexibility on the entity attributes of a template to modify and change the representation at any point in time. Templates can be reused across similar kind of applications. A library is capable of supporting if else conditions to render the content required based on the conditions. Since the library internally uses Reflexion pattern, feature well suits for the application where file count is less to generate from a template. To use this, we need to download the StringTemplate library. For example, Let’s assume a use case where an application has a form which will be filled by users to register and export the same as PDF file and print it for future use. 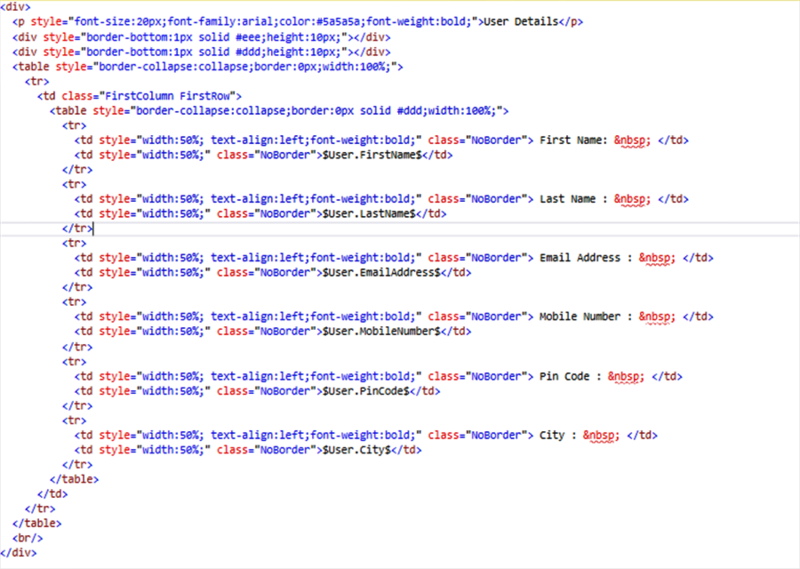 And to export user data to PDF, we will have to pass the key name and user object as value to the template. Template engine will parse the template content and replaces the attributes with user object data dynamically at runtime using the delimiter mentioned as “$”. Output content with actual data can be used for generating the PDF. Rajani is working as Senior System Analyst in Acuvate. She has an experience of more than 7 years of Microsoft technologies. She comes with a sound expertise in leading the projects built on SharePoint On-Prem and Office 365. Played a strong technical lead role in delivering complex projects for the clients like Aricent, Tata Projects, Heidelberg. Her focus lies more in designing and troubleshooting complex technical issues.